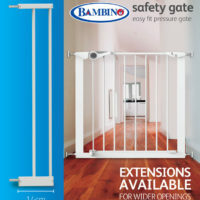 Bambino Gate extensions are compatible with the Bambino Gates to extend your gates even further. 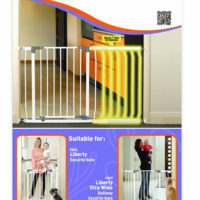 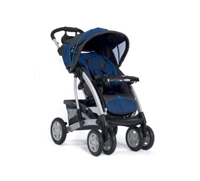 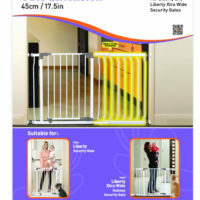 This Bambino Super Wide Gate is suitable for stairs and doorways. 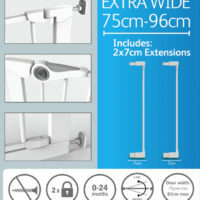 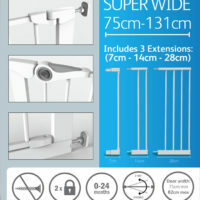 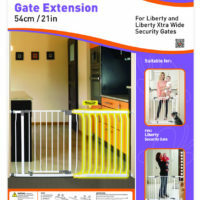 The gate includes 3 extensions (7cm, 14cm and 28cm). 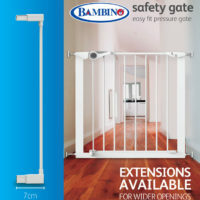 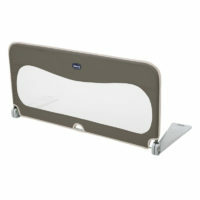 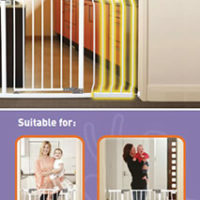 This Bambino Extra Wide Gate is suitable for stairs and doorways. 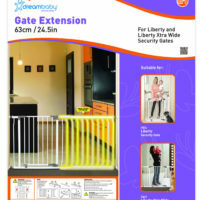 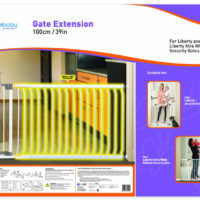 The gate includes 2x 7cm extensions.